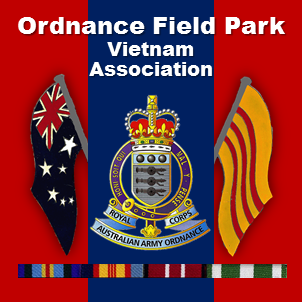 Our Memorials – Ordnance Field Park Vietnam Assn. Our Unit Plaque is installed in the Memorial’s grounds. The plaque is located in position number 161 on the Southern side of the pathway leading from the carpark to the Western Courtyard. The Vietnam Veterans Commemorative Walk is located in High Street at the junction of Emily Street and Tallarook Street, Seymour, Victoria.